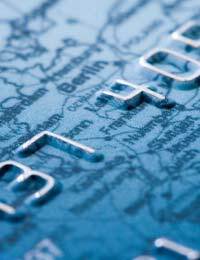 Pre paid travel credit cards are becoming the popular way to exchange foreign currency. There are differences between the cards on offer, and undertaking some research will ensure you get the most from a pre paid travel credit card. There are a number of pre paid credit cards on the market but travel cards are designed specifically for travelling abroad. They are an alternative to carrying foreign currency or using traveller’s cheques. Money is preloaded by the customer and then it can be used in exactly the same way as a credit card. Safety is the main feature but these cards have significant advantages over changing money through traditional methods such as banks or exchange bureaus. One of the most important tasks before choosing a pre paid travel card is to research the available choices. Most of the cards will have different fees for different services. For example one card may charge a loading fee while another may not charge at all for this service. How you would most frequently use your card should have an influence on your choice. If you are going to frequently use a card to withdraw cash at an ATM abroad then go for one that has a low charge for this service. A number of pre paid travel credit cards offer a commission free service. This sounds good but most currency exchange venues also offer a commission free facility. Customers should be looking for the best rates of exchange as this will guarantee how much they get for their cash. Research the different providers and check the rates of exchange they are providing. Many pre paid companies use their own exchange rates that can prove to be a lot better than other companies, even with added commission fees. Many pre paid travel cards will charge an application fee but this can usually be avoided. There are providers that will not charge an application fee as long as customers pre load a set amount of money. However, it is important to check that the free to apply for travel cards do have low fees on the services they provide. It won’t be cost effective to forgo the application fee if the provider has a high ATM withdrawal fee abroad. Two of the most important fees to look out for on pre paid travel credit cards are the ATM withdrawal fee and the exchange rate fee. The ATM abroad and in the UK fee can vary significantly between cards. Some cards can be as low as £1.50 to withdraw money abroad but some providers will charge double this amount. This will add up depending on how many times you withdraw money abroad. Exchange rate fees between providers will also vary as well. Some providers will not charge for this service at all. Others will apply an amount of interest, usually around 2.75%. This exchange rate fee will usually only occur if the currency on the pre paid card is different from the currency in the country where the card is being used. This can add up to a lot of money if the card is used regularly. Most providers will originally exchange currency into either euros or US dollars when money is being loaded onto the card. Pre paid travel credit card comparison sites will allow customers to compare a number of different providers. However, these sites will not usually list the entire range of pre paid travel card providers. Undertake your own research and compare offers from banks and post offices. Also remember to check with your own normal credit card provider to see if there are any offers available when using a normal credit card abroad.